This is an IMPORTANT LEGAL DOCUMENT. By signing it, you are giving up certain legal rights. READ CAREFULLY BEFORE SIGNING. By signing this Agreement, Release of Liability, and Assumption of Risk document you are giving up important legal rights. You are free to seek independent legal counseling before signing. This is not the only place you may skydive. If you request, a list of other skydiving centers will be made available to you. The Uninsured Skydive Atlanta, LLC reserves the right to refuse participation in Skydiving/Parachuting Activities to any person. This document is, and will remain, the property of The Uninsured Skydive Atlanta, LLC. In consideration of being permitted to utilize the facilities, equipment, or training provided by The Uninsured Skydive Atlanta, LLC, or the services of any of its personnel or of any Released Parties as the term shall be defined herein to engage in skydiving/parachute jumping, tandem parachute jumping, ground instruction, skydiving/parachute instruction, the exit, freefall, deployment of parachute, time under parachute, the landing, flying and related activities, any rescue operations or attempts, demonstration jumps, water jumps, ground or air transportation or operation in any vehicle, riding in any aircraft during any phase of operation, any activity whatsoever while at our facility or on any property being used by Released Parties before, during, or after Skydiving/ Parachuting Activities as defined herein and any and all related activities hereinafter referred to as Skydiving/ Parachuting Activities. 1. Parties Included: I understand that this Agreement, Release of Liability, and Assumption of Risk, hereinafter referred to as "Agreement" includes The Uninsured Skydive Atlanta, LLC and related entities, The Uninsured SDA Gear Company, LLC, Holiday Aircraft, LLC, T&T Delaware Aviation, LLC, Richard F. Holladay III, Thomaston/Upson County Airport, their owners, agents, associated entities, officers, members, managers, organizers, directors, shareholders, partners, employees, staff, instructors, parachute riggers, assistants, contract labor, aircraft owners, operators, pilots, mechanics, aircraft or other contractors or providers; all property owners; all airport owners, operators, fixed base operators; The Uninsured United Parachute Technologies, LLC, and other manufacturers of any and all parachute or other equipment and any person, or persons or entities involved with its sale and distribution; all municipalities, and utilities; any individual, association, or corporation assisting in or associated with my Skydiving/ Parachuting Activities, and the United States Parachute Association and its members; all hereinafter collectively referred to as Released Parties, which term shall include each person so released in his individual as well as any representative capacity and whether or not an employee, volunteer, or independent contractor. 2. Medical Statement: I recognize that Skydiving/ Parachuting Activities is a strenuous athletic endeavour requiring me to be in good physical condition and that even in good physical condition I may suffer or become prone to knee, back, or other degeneration, or ailments as a result of my participation. I hereby certify that I am not aware of and do not suffer from any physical infirmities or chronic illnesses which would affect my ability to engage in Skydiving/ Parachuting Activities. I further certify that I am not on any regular medications or have been cleared by my doctor to engage in Skydiving/ Parachuting Activities while taking these medications and have not taken any alcoholic beverages or illegal drugs within the last eight (8) hours. I also recognize that it is against United States Parachute Association rules and Federal Aviation Administration Regulations to take either alcohol or drugs while engaging in Skydiving/ Parachuting Activities and agree to refrain from doing so. 3. 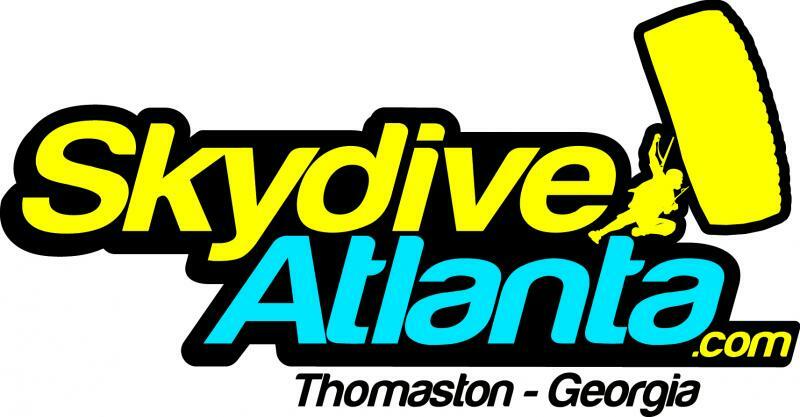 Risks Contemplated: This Agreement is made in contemplation of all Skydiving/ Parachuting Activities, whether on, above, or off the airport known as Thomaston/Upson County Airport, Thomaston, GA or any facilities used by Released Parties. 4. I understand that I MAY BE INJURED OR KILLED, including but not limited to broken bones, internal injuries, dismemberment, disfigurement, disability, mental incapacitation, permanent or otherwise, in many ways while participating in Skydiving/ Parachuting Activities including but not limited to falls from training equipment; collisions with or falls from aircraft, turning propellers, other persons, parachutes, trees, power lines, buildings, structures, machinery, vehicles, the ground, or other objects, while on the ground or in the air, while boarding aircraft, riding in the aircraft during taxi or airborne, exiting the aircraft, during the jump, during freefall, during parachute opening, while under parachute, while landing or after landing; drowning; electrocution; explosions; fire; malfunction of aircraft or parachute equipment; meteorological condition; and acts of God. 5. Release of Liability: I hereby RELEASE AND DISCHARGE Released Parties from any and all liability, claims, demands, or causes of action that I may hereafter have for injuries or damages arising out of my participation in Skydiving/ Parachuting Activities, even if caused by NEGLIGENCE, either active or passive, or other fault of Released Parties. 6. Agreement Not To Sue: I further agree that I WILL NOT SUE OR MAKE CLAIM AGAINST Released Parties for damages or other losses sustained as a result of my participation in Skydiving/ Parachuting Activities EVEN IF CAUSED BY NEGILIGENCE, active or passive, or other fault of Released Parties. I agree never to institute any lawsuit or cause of action against any of the Released Parties, or initiate or assist in the prosecution of any claim for damages against the Released Parties which I may have by reason of injury to my person or property, or my death, arising from the activities covered by this Agreement, whether caused by the negligence or fault, active or passive, of any of the Released Parties or from any other causes. I further agree that my heirs, executors, administrators, personal representatives, or anyone else claiming on my behalf shall not institute any lawsuit, cause of action, or claim for damages against the Released Parties, which I, my heirs, executors, administrators, personal representatives, and/or anyone else claiming on my behalf may have reason of injury to my person or property, or my death, arising from the activities covered by this Agreement, whether caused by the negligence or fault, active or passive, of any of the Released Parties or from any other causes. I hereby so instruct my heirs, executors, administrators, personal representatives, and/or anyone else claiming on my behalf, should any lawsuit or cause of action be instituted against of the Released Parties, I agree that such Released Parties shall be entitled to recover any and all attorneys fees and costs incurred in the defense of such lawsuit or cause of action, including any arising there from. 7. Indemnification and Hold Harmless: I also agree to INDEMNIFY AND HOLD Released Parties HARMLESS from all claims, judgments, and costs, including but not limited to attorneys fees, and to reimburse them for any expenses whatsoever incurred in connection with any action brought as a result of my participation in Skydiving/ Parachuting Activities. 8. I, or my estate hereby agree to pay the sum of fifty thousand dollars ($50,000.00) as liquidated damages, to each and every Released Parties named in any suit or causes of action brought by me, my estate, my heirs or anyone on my behalf, as a result of my participation in Skydiving/ Parachuting Activities. This is not a penalty but an estimate of uncertain damages to the Released Parties and is due and payable upon filing of any lawsuits or causes of action irrespective of the outcome. 9. Assumption of Risk: I understand and acknowledge that Skydiving/ Parachuting Activities are inherently dangerous and that no amount of care, caution, instruction, or expertise can eliminate those dangers andI EXPRESSLY, VOLUNTARILY, AND IRREVOCABLY ASSUME ALL RISK OF DEATH OR PERSONAL INJURY SUSTAINED WHILE PARTICIPATING IN SKYDIVING/ PARACHUTING ACTIVITIES WHETHER OR NOT CAUSED BY NEGLIGENCE, ACTIVE OR PASSIVE, OR OTHER FAULT OF RELEASED PARTIES including but not limited to: any defect in any aircraft, aircraft or tandem parachute pilot error, equipment or aircraft malfunction or failure to function from whatever cause, defective or negligent design or manufacture of equipment or aircraft, improper or negligent parachute packing or assembly, improper or negligent operation or use of the equipment or aircraft, carelessness or negligence of Released Parties, inadequate training, any deficiency in landing areas or surroundings, training aids, rescue attempts, bad landing, or any other injury I may sustain, even if caused by negligence, active or passive, or any fault of Released Parties. I voluntarily, freely, and expressly choose to incur all risks associated with Skydiving/ Parachuting Activities and any other the activities covered by this Agreement, understanding that those risks may include bodily and personal injury, damage to property, disfigurement or death. I voluntarily and freely choose to incur such risks and take responsibility therefore. 10. Parties Bound By This Agreement: It is my understanding and intention that this Agreement be binding not only on myself, but on anyone or any entity, including my estate and heirs, that or who may be able to or does in fact release Released Parties from any and all claims or obligations whatsoever arising in any way from my participation in Skydiving/Parachuting Activities even if caused by the negligence, active or passive, or other fault of Released Parties. 11. I understand and acknowledge that my Skydiving/ Parachuting Activities are not covered by any personal accident or any general liability insurance issued to Released Parties. I further assume all responsibility for any damage, harm, or injury of any nature my Skydiving/ Parachuting Activities may cause to others. 12. Duration of Release: It is my understanding and intention that this Agreement is effective not only for my first participation in Skydiving/ Parachuting Activities or aircraft flight, but also for all subsequent participation in Skydiving/ Parachuting Activities or aircraft flights made with the facilities, aircraft, or equipment of, or in any way involving the personnel of or relying on the training provided by Released Parties. 13. Enforceability: I agree that if any portions of this document should be found to be unenforceable, the remaining portions shall continue to be binding and enforceable against me, my estate, or anyone who sues or makes claim on my behalf. 14. I hereby agree to waive any and all duty of care, whether by omission or commission, or any other duty which may be owed to me by Released Parties. 15. Validity of Release: I hereby agree and understand that if any suit, demands, claim for damages or cause of action are instituted by me or on my behalf for my personal injury or death or damage to my property resulting from my participation in Skydiving/ Parachuting Activities that this Agreement can and will be used in court and that documents of this type have been upheld in courts in similar circumstances. 16. I hereby waive my right to a jury trial and agree that any and all claims, suits, disputes, or actions whatsoever arising from or in connection with this Agreement shall be commenced, filed and litigated, if at all, before a court of proper jurisdiction located in Upson County, Georgia, USA. It is further agreed that in the event any lawsuit is filed other than in Upson County, Georgia, it shall be moved there on motion and at the option of Released Parties. 17. I agree the headings used throughout this Agreement are for convenience only and no significance in the interpretation of the body of this Agreement. 18. Whole Agreement: I acknowledge that this is the whole and entire Agreement between me and the Released Parties. I am relying on no other oral or other terms, representations, assurances or any written or printed materials of any kind. 19. I understand and agree that all payments made to The Uninsured Skydive Atlanta, LLC are final and are non-refundable, regardless of services rendered. I have carefully read this Agreement, Release of Liability, and Assumption of Risk, I FULLY UNDERSTAND its contents and sign it of my OWN FREE WILL. I understand it is a BINDING CONTRACT and that no oral representations or statements of any kind by any person can modify the rights or defenses it creates in the Released Parties, which rights and defenses may be in any written modification of this Agreement shall be enforceable only if separately signed, and then against only the individual signing such modification. I recognize in signing this Agreement I am giving up important legal rights, and it is my intention to do so. I am advised that I am free to seek independent advice or counsel of my own choosing before signing this document. I further agree that should I for any reason fail to initial any part of this release, I will be deemed to have done so. Check to receive discounts by e-mail. Emergency Contact Continued...The person to notify in case of emergency must be someone that can legally make medical decisions for you if you were incapacitated. We prefer someone that will not be in the plane with you. List any current medications, medical treatments, or infirmities that could effect your particpation in Skydiving/ Parachuting Activities. Explanation of any medication or treatment. I have been cleared by my doctor to particpate in Skydiving/ Parachuting Activities while taking this medication/ receiving this treatment.